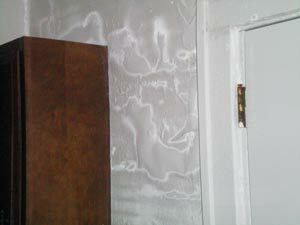 There are many factors to consider when drying walls & .. There are many factors to consider when drying walls and structural materials for water damage restoration. Rapid Recovery Service utilizes the Applied Structural Drying (ASD) method when removing large amounts of water from a structure and drying walls. Applied Structural Drying uses science to effectively minimize water damage costs by eliminating costly rip out and tear down damages. This drying process is also successful in eliminating moisture contained behind walls and floors that otherwise look dry but remain saturated. Combined with the use of FLIR technology and our injectidry system, this process can not only reduce the risks of mold growth but can end up saving owners thousands of dollars in repair and clean up costs. 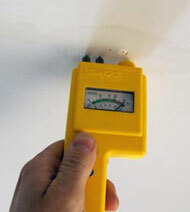 We also test treated areas before and after using advanced measuring devices, moisture meters, to accurately determine the amount of water content in materials and to measure the success of the removal of water for drying walls following structural drying procedures. Our technicians are IICRC certified in the Applied Structural Drying (ASD) process and utilize the most up to date equipment and standards in the industry. ASD has developed a reputation as an industry training standard through laboratory and classroom training among drying industry professionals and insurance industry representatives. The Structural Drying method benefits both the owner and contractor by properly drying and saving insulation, hardwood floors, drywall, concrete block, ceiling tiles, plaster walls, etc. This reduces the amount of time and money spent by both parties in restoring structures following water damage to drying walls. The science behind ASD focuses on controlling the environment with state-of-the-art airflow and heat temperature equipment, in addition to extraction, air movement and evaporation, dehumidification and temperature control. Utilizing all of these key components ensures a quicker, more cost-effective solution to controlling water damage occurrences than traditional methods.